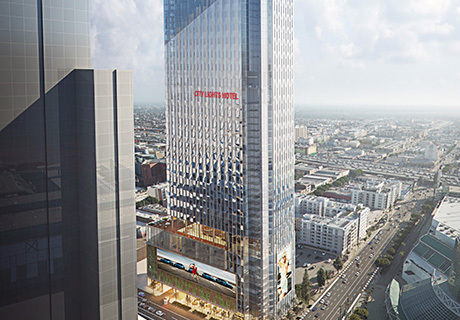 A proposed 53-story hotel in South Park would bring 1,024 hotel rooms directly across the street from the Los Angeles Convention Center, according to an announcement from the developer, TriCal. The proposal comes as the city pushes to get more hotel rooms built in proximity to the convention center. 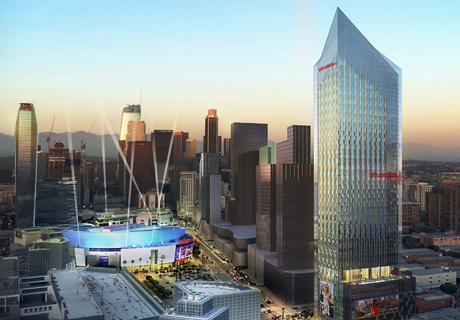 It will be designed by architecture firm Gensler, and renderings show a glassy tower with an angular roof. 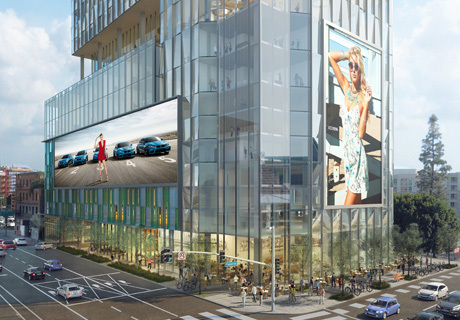 Trical Construction Inc. has filed an application with the Department of City Planning to redevelop its City Lights on Fig property at 1300 S. Figueroa Street, adjacent to the Los Angeles Convention Center.